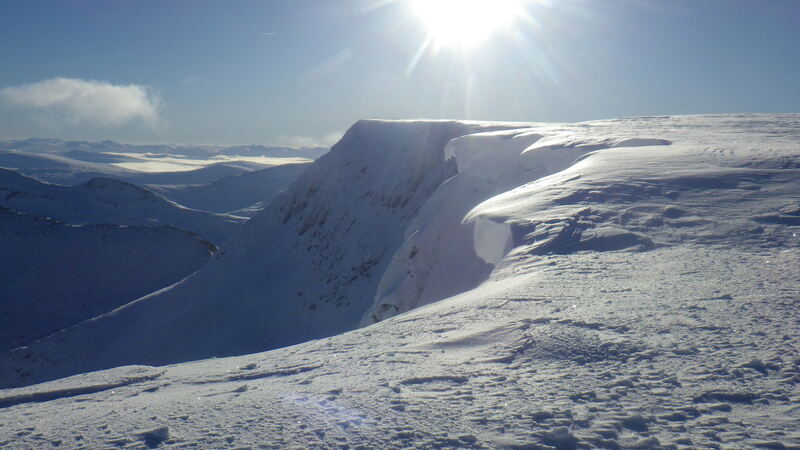 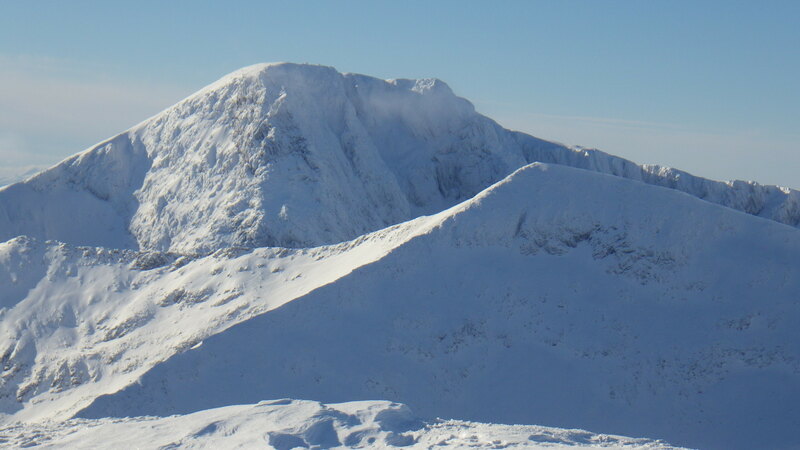 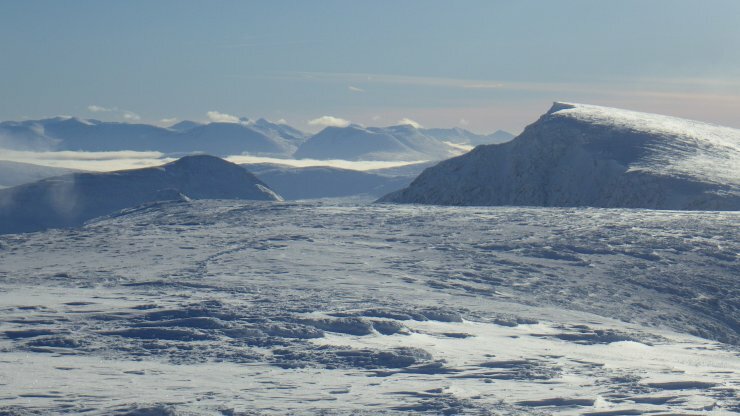 Today was one of those stunning bright clear cold days with a summit temperature of around -7 degrees Celsius and only a light Easterly wind. A few photos that hopefully capture the essence of the day! 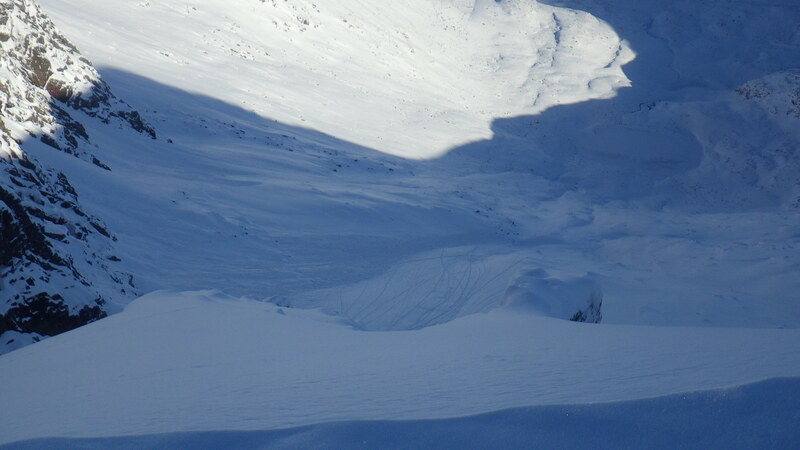 Cornice-collapse triggered avalanche to the North of Easy Gully. 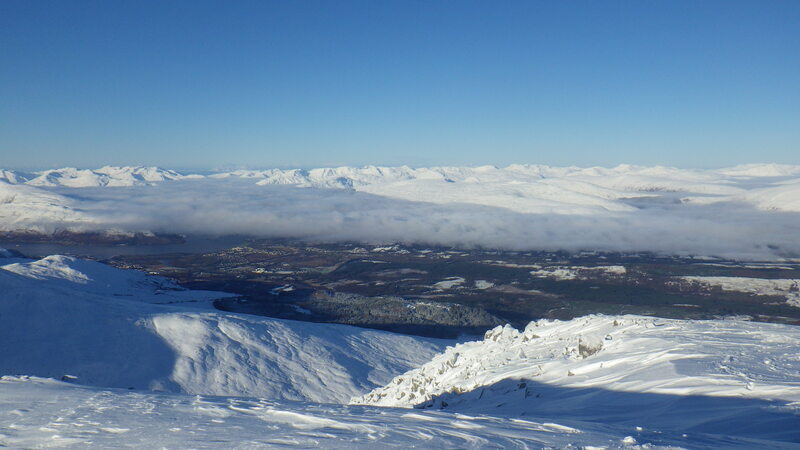 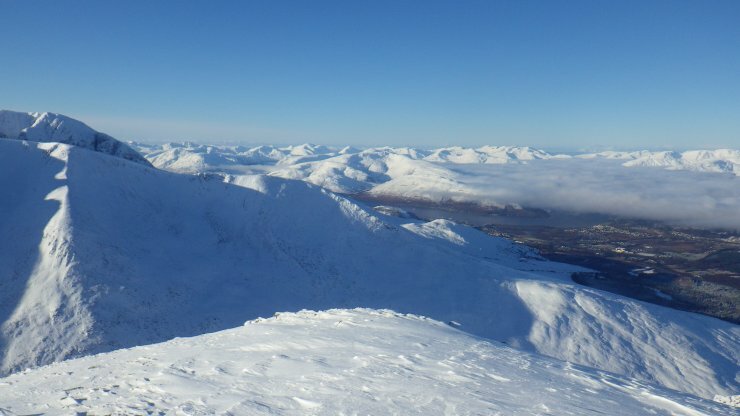 Looking to Aonach Beag and beyond.